The wonderful J.T. 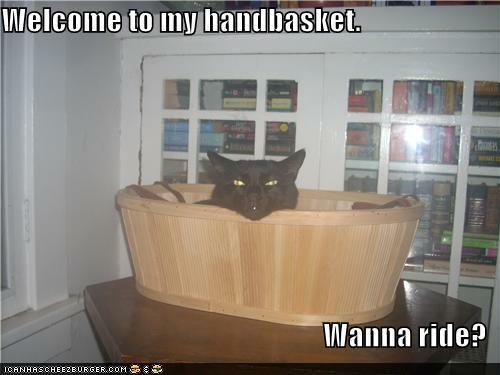 Ellison sent me the link to this perfect Handbasket pic on icanhascheezburger.com. I think we have a new mascot!